Who ya gonna call to mop up a big rainy mess at the airport? The Queen of the Skies, of course! And that’s exactly what United Airlines did last Friday when a record-setting deluge hit the West Coast and gummed up the works along the busy California Corridor. The airline sent in a Boeing 747 to shuttle hundreds of displaced passengers for a one-hour flight from San Francisco International to Los Angeles International. 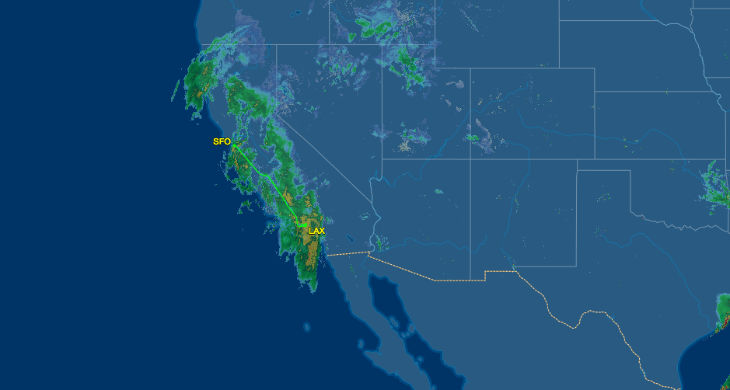 Last Friday, a big storm blew in off the Pacific causing delays and cancellations up and down the West Coast. 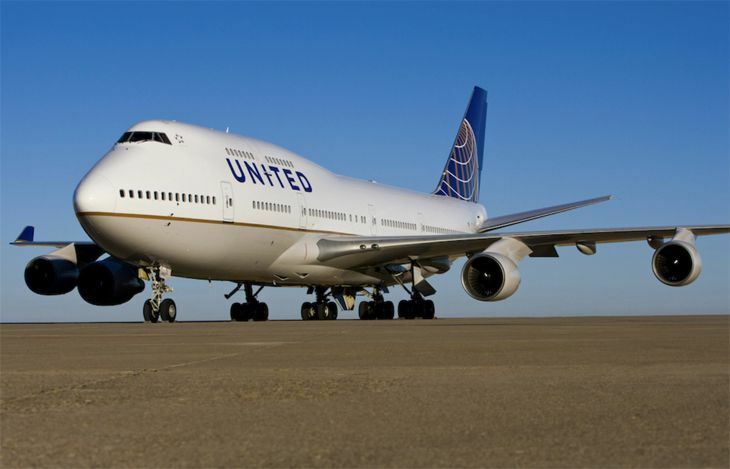 That afternoon we received an email from TravelSkills reader (and contributor) Dan Erwin, who saw something peculiar when he was flying SFO-LAX that day — a giant 747 positioned to fly as United flight #937 departing SFO at 12:15 p.m. He tried to switch flights to get on board (and what travel geek wouldn’t! ), but there was no space available. We both assumed that it was some sort of anomaly…maybe a random repositioning for a charter or something along those lines. The 747 had just flown in from Tokyo Narita, according to FlightAware. Don’t miss! “Trump slump” means more travel deals! But I reached out to my United contacts to find out, and discovered this was indeed a revenue flight…and it flew full! A spokesperson said that United called in The Queen to accommodate all the passengers who had been on delayed or canceled flights that morning– and you can bet that on a busy Friday morning, there were a lot. Imagine their surprise when passengers who thought they’d be boarding the standard Airbus A320 for the flight to LAX saw a Boeing 747 pull up to the gate instead. I’m sure there were a lot of frustrated, late passengers cursing the airline and the weather that morning, but I’ll bet many of them smiled at the sight of a bubble-top out the window! It turned out that this replacement flight — filled to the gills with 374 passengers — was also delayed by rain, but still… I’d have taken the delay for the rare experience! UPDATE! Scroll down into comments to see read about one lucky reader who was actually on this rare 747 flight! What about you? Have you ever ended up on another plane when the airline had to “upgauge” or “downgauge?” How that go for you? Please leave your comments below!